Potty training is something every child goes through and (most) every parent dreads. Each child is different so there is no one right way to potty train. As parents, our job is to be patient, encouraging and flexible when teaching our little ones to use the potty. Kids will respond to your attitude so remain positive and keep things light. Your child WILL get the hang of it. It just takes a bit of time. Think of it as a potty adventure! Kudo Banz knows this is a major milestone for all parents so we created a special Potty Starter Pack. It includes an engaging storybook, "The Adventures of Drago and George and the Potty Party," which helps get kids excited to begin their potty adventure and gives parents helpful ideas to kick things off. The book and below lists suggested Kudo Steps and Tips. Use your Kudos to reward one or two things at a time. 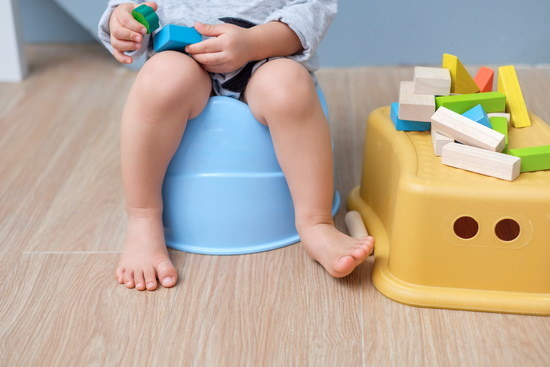 As your little one masters one potty challenge, you can move to the next step. Kids love earning Kudos for their potty successes! Be patient. Potty training will most likely take a few weeks (staying dry at nap/overnight can take months). Stay relaxed and positive. If you are stressed about potty training, your child will be stressed too. Build in enough time for potty training so you don’t feel rushed. Diapers and training pants are okay for naptime and bedtime. Just don’t use them when your child is awake (tempting when you are on-the-go) as it could undo the progress you’ve made. Let your child lead. Children are more receptive when they aren’t pushed or nagged. Remind them gently and let them do as much on their own as they can. Don’t start potty training if you are in planning a major change like a new sibling or moving to a new home. Wait until you are able to be focused on potty training. Going poop in the potty can be tricky. Keep an eye out for constipation if they haven’t gone poop in more than 1 day. Be flexible. There is no correct way to potty train your child so do what works best for your family. Kudo Banz is like an on-the-go chore chart. Positive reinforcement reinvented to meet the needs of today’s millennial families. As kids grow, they are constantly learning new behaviors. Reaching these milestones in a positive manner is where Kudo Banz comes in! We are here to help start and end behavior in a fun and positive way. Sticker charts or chore charts are often stuck at home, Kudo Banz is always there when you need it since it is right there on your child’s wrist (keeping them motivated to reach their incentive goal). Finally, a behavior chart that works for your family and makes raising good kids easy and fun. Say goodbye to yelling and tantrums. Kudo Banz makes positive parenting simple.